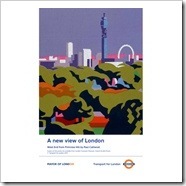 Any blog that can veer between the magnificent glass and ironwork of Paddington Station [^] to a knitting shop [^] in a few days does a good job of illustrating Dr Johnsons view. Sure not every place is going to be your cup of tea, but you may just find something interesting that you wouldn’t have known about or considered. 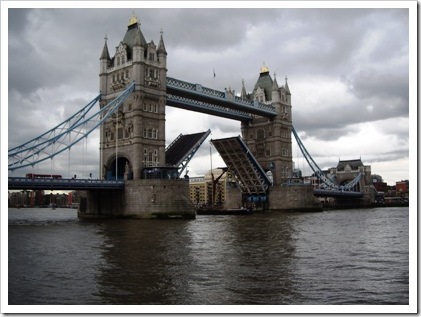 This one is going into my feedreader so that I can keep an eye open for new places to visit on our next trip to the UK. I love watching someone who is good at their work. They make fantastic results look easy. I guess the practice helps, and all the preparation that goes into making the end product. 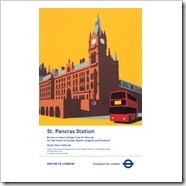 The Guardian has a four minute video that shows Paul Catherall [^] working on a commission for Transport for London (TfL) called Shaping the City. This give you an idea of the skill, time and hard work that go into producing something that looks as good and uncluttered as these two prints. 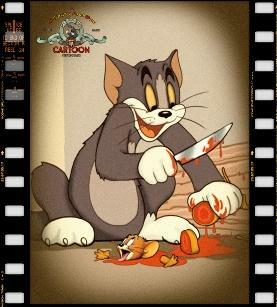 The J C Auty and Son website [^] has a whole series of these macabre Warner Brothers cartoon posters, featuring cartoon favourite double-acts like Tom & Jerry, Bugs and Daffy, and Sylvester and Tweety. They even have figurines based on these scenes, how cool is that? This shop is going on to my “must visit list” next time I’m in the UK. There are a lot of niche blogs out there. 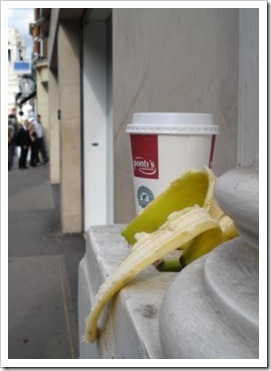 But I don’t think that I have found a more focused blog than this – London Bananas [^]. 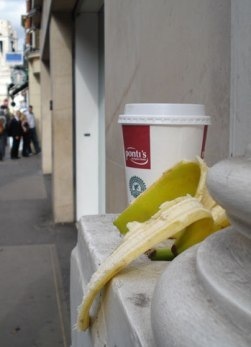 All it is is photos of banana skins left in public places, so “Yes, We Have No Bananas Today” [^]. Sadly there doesn’t appear to be a RSS feed on the site, so I donlt know that I will be checking-back too often.